Blue and purple reign in this underwater queendom. The world of the mermaids Aquamarina and Violette is adorned by friendly sharks, dancing octopi, bright corals and the exotic fruits and leafs they gather from the ocean’s surface. 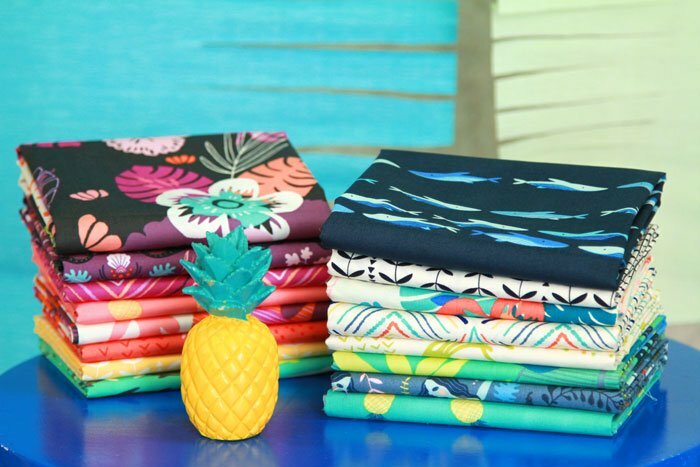 This bundle contains 16 Fat Quarters, one of each print in the collection.